Sorry, but you’ve left it rather late to make your request because it’s already Christmas week. So unless you have a special arrangement with old Santa Claus himself, we’re afraid that even the highly qualified team at Carisbrook Dental won’t be able to grant your wish in time for this Christmas Day. But next year, if you’d like to “Wish someone a merry Christmas” instead of having to “Withe them a merry Chrithmath” you could take a look at our Restorative Dentistry page, where you can learn more about Dentures and Bridges. Both these easy options are designed to replace missing teeth, brighten your smile, improve your speech, restore your self-confidence and make eating much, much easier. Dentures have the ‘missing teeth’ attached to a pallet that you simply place in your mouth and we can make the new dentures to match your existing teeth and to look as natural as possible. Bridges, unlike dentures, are attached to the two teeth on each side of the gap, so they are firmly held in place. Again we match the false teeth to look like your existing teeth and because they are ‘fixed’ there is no danger of them becoming dislodged while you are eating. There is also another option. 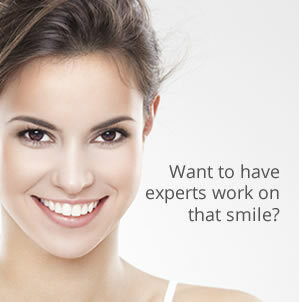 One that at dentist Manchester we are finding more and more patients who suffer with missing teeth are going for. Our Dental Implants Manchester page will explain how we can replace missing teeth using the very best components available to restore the most natural smile and renew your full confidence when you’re at work, you’re on a special social occasion or eating out. Dental implants are attached permanently into your jaw so that they appear and perform as much like natural teeth as it is possible to achieve. It’s why so many celebrities are now choosing to have them. Why don’t you make yourself a promise that this will be your last Christmas with gaps in your teeth? Take a look at our Contact page and give us a call on 0161 951 7295 or email us at info@carisbrookdental.co.uk. Make next Christmas a merry Christmas … and not another miserable Chrithmath! From all the team at Carisbrook Dental may we wish you a Very Merry Christmas and a Wonderful New Year.